it is worthy of note that in that the majority of the supporters of opposition to this grossy offensive, environmentally damaging and staggeringly inefficient Wind Turbine live in the immediate area of the proposed Turbine, letters, meetings and general communications have been not only amicable but have acted to an extent as news letters promoting local events. The opposition has given rise to many in the community meeting for the first time and a local directory of phone numbers, eMail addresses and information as to who lives where and the occupancy of the homes in the area. There is absolutely no doubt that the overwhellming majority of the people living in the area of influence of the Turbine, if we are unfortunate enough to have it imposed are opposed to the installation – not on some specious NIMBY grounds but based on clearly understood factual reasons. The few who seem to pretend to support for the proposed Turbine would seem to have links with the applicant either as family, friends, associates, tennants or employees – seemingly indicating other reasons for support than considerations of the benefits claimed, we would contend dishonestly, for Turbines. I felt a contact was called for in the light of a few events. As you know we have done a blanket contact to a large part of the area and put up a banner campaign to highlight the fact that we are still fighting Resilience erecting their turbine. and there were some unnecessary comments left on a leaflet on the banner at the end of our gate. The upside of this is that in creating a reaction it demonstrates that some elements of the other side are really feeling frustrated. As you know we are into the last few days for crowd justice which closes on Friday night and if we don’t hit our target then none of the pledges will be used. It would be great if we were able to get to our target. I say this because the overall costs for the proceedings for JR is in the region of £40 – 50K and although we have a large part of this underwritten, it would be fantastic if as locals we could manage the £5K through the local community. PS It’s Chase show this weekend at the old school so if the weather is good and you are around why not come and have tea and cake . IF you note ANY errors of fact in this or any other web site or blog I own please bring it to my attention for correction @ Greg_L-W@BTconnect.com – Thank you. PS-102: Government Policy re WTs is a lottery seemingly influenced by bias! there would seem to be no clear policy in Government regarding wind turbines as decisions emanating from Greg Clark’s department are so varied, each from another that it would seem Justice is not even a consideration in terms o0f a level playing field. “It is not my responsibility to intervene even when Councillors make crap decisions“! A brief read of the FoDDC Planning Committee’s deliberations when considered with Mark Harper MP’s failure to seek justice and the utter failure of the Council to represent the interests of the effected communioty or the Parish Council leaves a very bad taste in the mouth and seems perversde and vexatious despite the denials that the Councillor who made the application, Maria Edfwards, was councillor on FoDDC and as a first termer was coincidentally on the planning committee! You will have noted that when the High Court reviewed our application they too felt the process was amiss and have granted the right of Judicial Review to an applicant from the Parish Peter Wright. It is always a relief to know ones personal judgement is not out of order, though there is never a wrong time to do the right thing it is pleasing to note that the High Court considers the matter to be worth of investigation. Clearly Justice has not been seen to be done in the light of this application, from the viewpoint of the overwhellming majority of the effected community! The communities secretary has refused plans for a four-turbine wind farm in Somerset after concluding that, amongst other factors weighing against the proposal, it would be contrary to local heritage-related planning policy. Mendip District Council had refused to grant planning permission for the erection of four wind turbines with a maximum blade tip height of up to 80 metres, together with a substation and associated works including two temporary anemometer masts for a period of up to 12 months. The development was proposed for a site adjacent to Torr Works, Somerset. Following an appeal, a planning inspector recommended that a split decision be issued, with the appeal allowed and planning permission granted insofar as it related to the proposed temporary anemometer masts, but refused insofar as it related to the proposed wind turbines and other associated development. 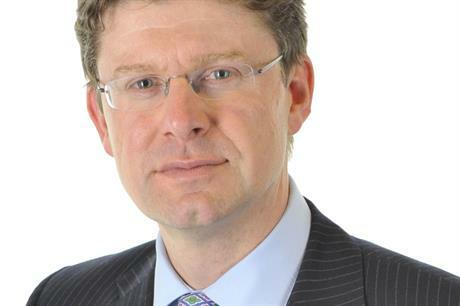 The decision was recovered by Greg Clark because it related to a renewable energy development. A decision letter said that he agreed with the inspector’s conclusions. The letter said that Clark concluded that the application would conflict with the council’s local plan policy DP3 which relates to heritage conservation. “As the achievement of sustainable development is central to the local plan and the National Planning Policy Framework, the proposed wind turbines would not therefore accord with the development plan when read as a whole”, the letter said. The letter said that Clark attached “considerable weight” to the development’s economic benefits alongside its contribution to cutting greenhouse gas emissions and the supply of renewable energy. In addition, the letter added that the application did not meet the provisions set out in theJune 2015 written ministerial statement (WMS).